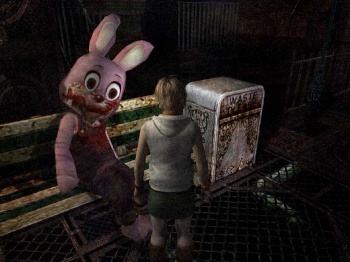 Sorry, Silent Hill fans, the HD Silent Hill Collection isn't going to be available on the 360. When Konami announced its HD collections of old PlayStation titles at its pre-E3 event, it made a lot of fans pretty happy. Honestly, who wouldn't want a HD-remastered collection of Zone of Enders, Metal Gear Solid, and Silent Hill games? However, it turns out that only the first two collections will be available on both the PS3 and 360; Silent Hill Collection is only coming out for the PS3. Silent Hill Collection will only include Silent Hill 2 and Silent Hill 3, though there's no word on why the first game hasn't been included. Aside from the HD graphics, Collection will also feature totally new voice acting and trophy support on the PSN. At the moment, Silent Hill Collection is due out sometime this Fall, but nothing more definite has been announced. Expect more details when the release is a little closer.